Adrian Gibbs Roofing is dedicated to providing our customers with superior craftsmanship by continuously innovating and providing the best roofing products while remaining on the leading edge of roofing expertise. Adrian Gibbs Roofing will always be a company that develops and trains superior craftsmen providing confidence and peace of mind to every one of our customers. 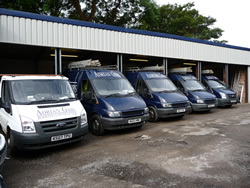 Customers – Growing our reputation for being honest, fair and respectful plus providing South & West Wales with a superior quality of work. Employees – To provide an environment that encourages the growth of our workers that gives them a platform to accomplish their professional goals. Company – To create a place where employees look forward to meeting the needs of other employees and the community. Environment – Making a real effort in providing greener products and ensuring the environment is safe with strict site waste management plans.